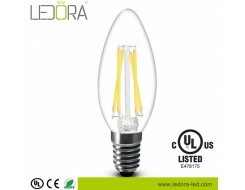 1, Are your lamps dimmable, some other suppliers can do dimmable, but with plastic body. How about yours? 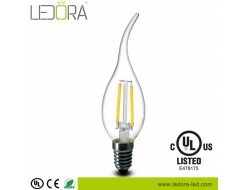 Answer: Yes, all our items can be dimmable, include E12, E14 bulbs. No plastic body. 2, Have tried from a few other chinese manufacturers but at so far they still suffer quality, flicker on longevity problems. How about yours? 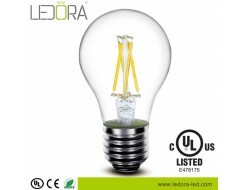 Answer: We are doing high quality line with constant current driver, sapphire substrate filament. Our non-dimmable bulbs no flickering at all. 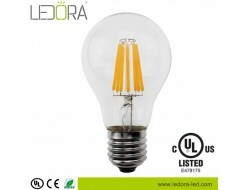 For dimmable bulbs: no flickering after 0.5m when you see by phone. 3, What is colour temperature? 4, We pay much about leadtime, how is yours? Answer: We have common products in stock, so quick leadtime within 5 days. If no stock, it will cost about 15-25 days. 5, Filaments should be crossed not parallel to avoid shadow issue on any surrounds, how about yours? Answer: Yes, we are doing well about this issue, they are crossed, no shadow. 6, Do you accept OEM? Can you help us do color box with our logo?